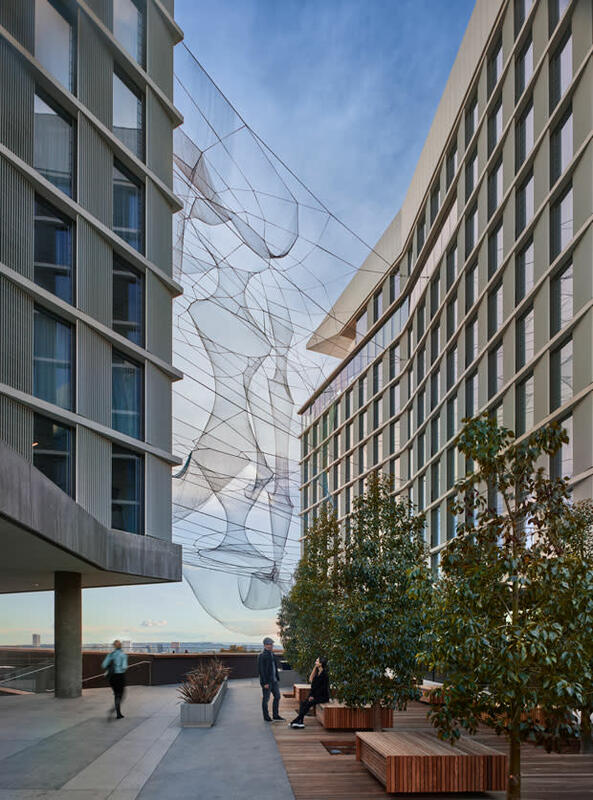 A large-scale, tensile net sculpture was developed for The Jeremy Hotel in West Hollywood, California. 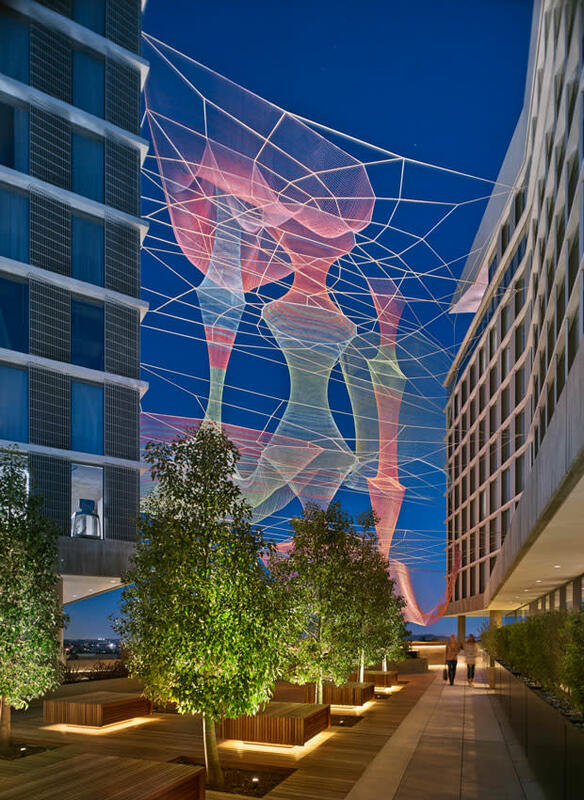 The aerial sculpture was designed in collaboration with artist Janet Echelman and spans the two towers of the development. 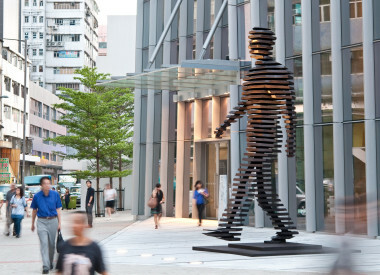 The owner and hotel operator commissioned multiple new contemporary art pieces for the site. The centerpiece of the art program is "Dream Catcher" by Janet Echelman. Inspiration for the piece comes from the idea of pursuing dreams in Hollywood. 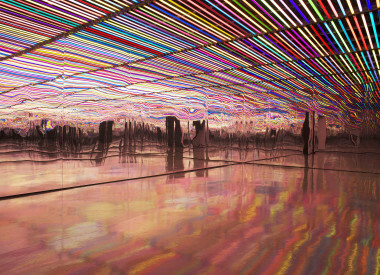 Suspended between the guest rooms, the piece is a representation of brainwaves that can be electronically mapped while dreaming. Skidmore, Owings & Merrill LLP collaborated with Echelman to create the 65-foot-tall net sculpture. 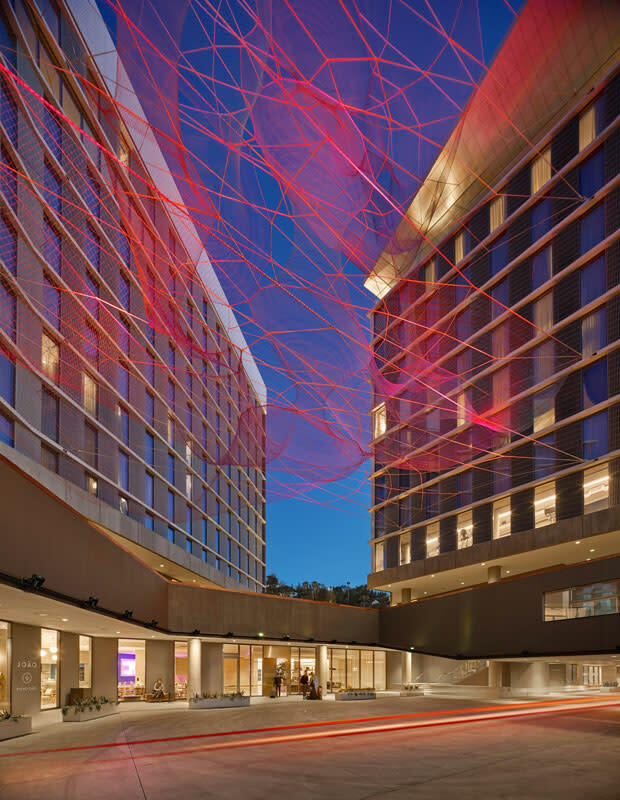 The large tensile form is suspended between The Jeremy Hotel towers above the public plaza and the lower level hotel drop-off. 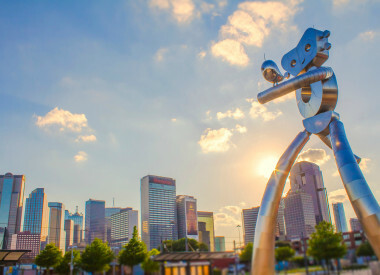 Spanning over 100-feet, the sculpture is seamlessly integrated into the architecture. 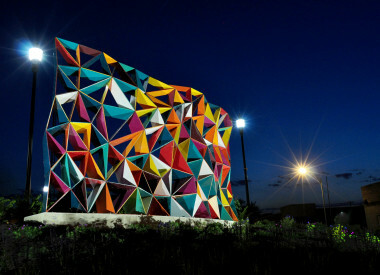 The prominent location on the Sunset Strip, perched on the hillside above the LA Basin provides a unique opportunity for public art. The site is prominently visible not only in its immediate context, but also to the surrounding Los Angeles region. 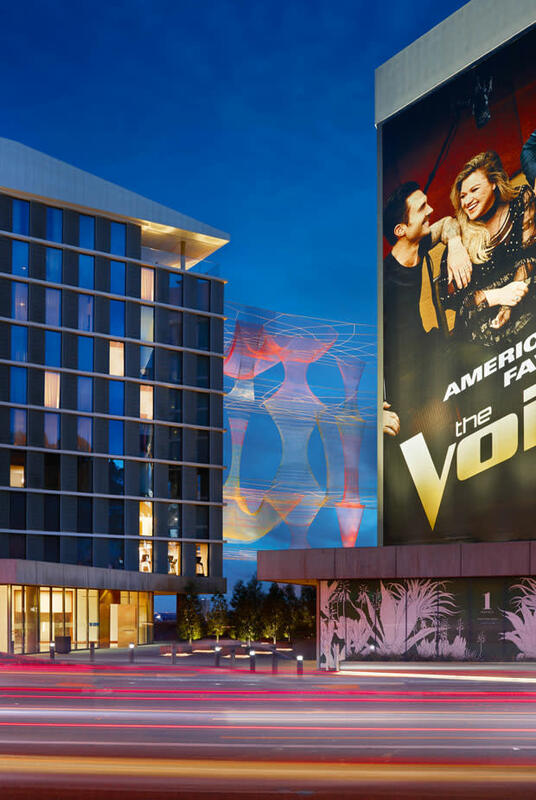 The design team, along with owner CIM Group, proposed combining the art requirements and budgets for both the hotel parcel and the adjacent residential parcel, which were developed concurrently, allowing a more significant intervention on the hotel site. The WeHo Urban Art Committee approved of the approach and the team sought out an appropriate artist to complete such a prominent work of art. 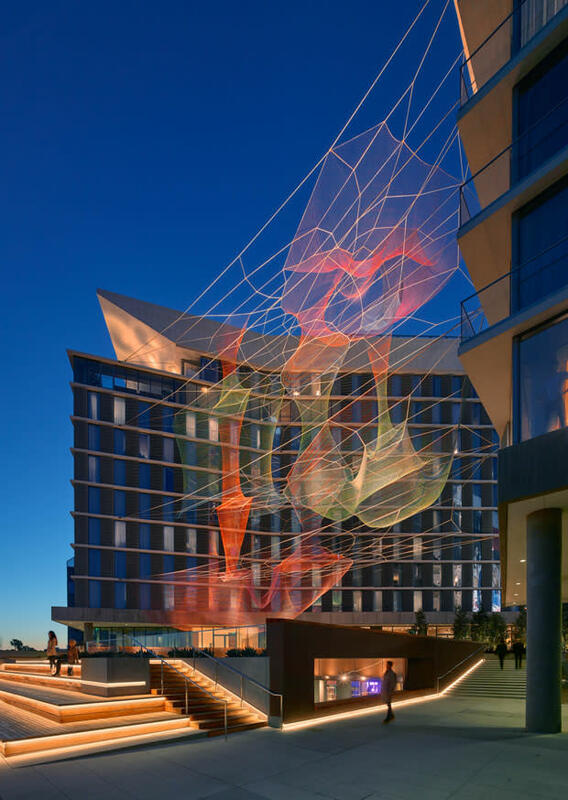 Echelman's sculpture compliments and enhances the hotel's urban public plaza through it's compelling light form, which delicately moves with the wind. 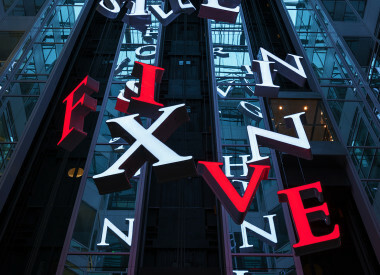 The piece offers a unique visual experience and invites people from the city into the open space between the buildings. 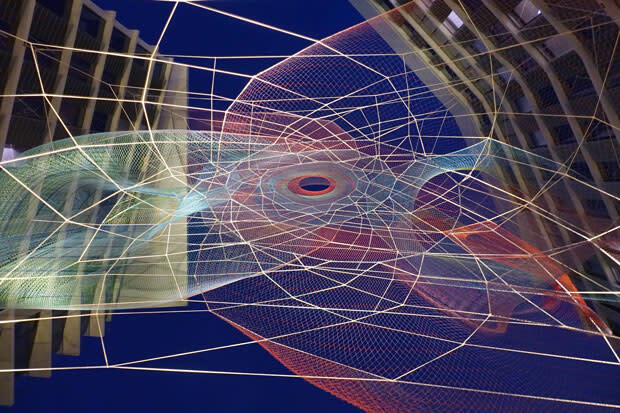 SOM's architectural design and structural engineering studios collaborated closely with artist Janet Echelman to engineer the tensile structure supporting the sculptural nets as well as the custom embed sleeves that allow the sculpture to lightly attach to the building at 16 different points. The team investigated multiple plan forms for the structural layers using a variety of form-finding methods including force density with the objective of optimizing the load paths. The final shape of the structural layers of the dream catcher shape realizes the artist's vision while being reminiscent of Michell's trusses, which are optimal frames of least weight for given loads and boundary conditions. The structural layers are also an expression of the forces in the system since the length of the ropes is proportional to the forces in them through the force densities. Therefore, by looking at the structural layers, the observer is actually reading the forces in the ropes. 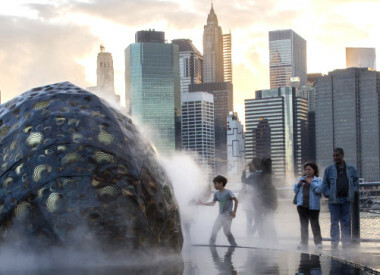 The installation of the sculpture required a carefully coordinated process with progressive lifting of the piece at each of the connection points to avoid any entanglements and overstressing of the sculptural nets. This combination of a cultural symbol and a diagram of structural efficiency is a compelling realization of a complex engineering challenge.